Disturbing footage was captured on a cell phone video. The little girl screamed and tugged at her mother’s limp body. 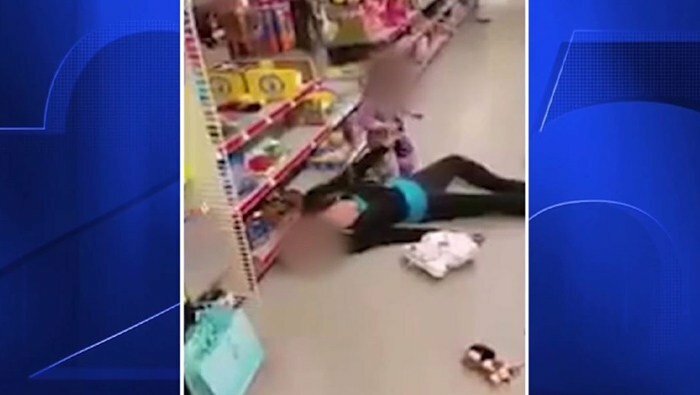 That video is now a key piece of evidence in charging this mother with child endangerment. Chief James Fitzpatrick expressed his disgust of what happened Wednesday morning. “It’s very, very disturbing to see someone obviously in the matter of addiction, where it overtakes someone to the point where they’re not able to take care of their child, leaves their child vulnerable,” Fitzpatrick said. The clip is evidence in a child endangerment charge, combined with drug paraphernalia found in the woman’s bag, as well as straws and baggies with drug residue. They believe she had overdosed on an oral version of heroin or an opiate-based narcotic like fentanyl. She regained consciousness after receiving two doses of Narcan. The child is now in protective custody, and the mother is expected to face charges by the end of the week.